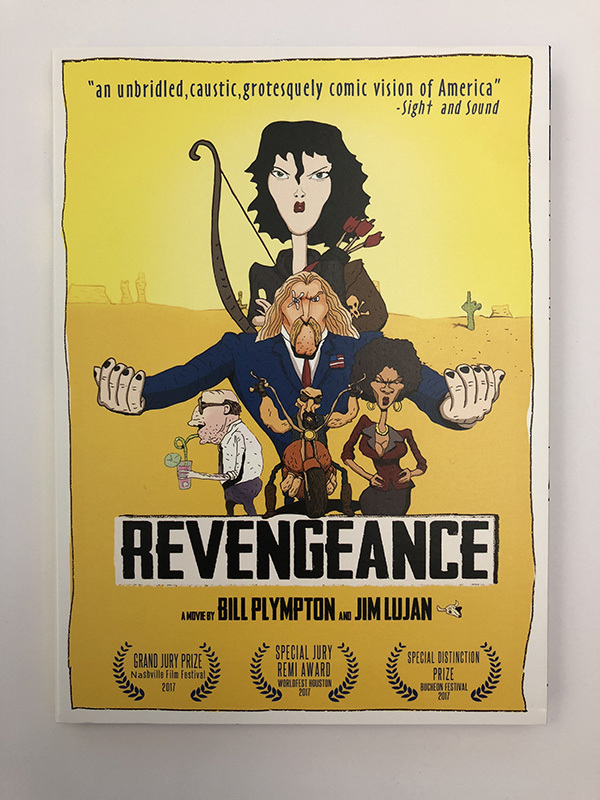 Revengeance was directed, written, designed and voiced by famed cartoon phenomenon Jim Lujan, who lives in the belly of the L.A. beast. 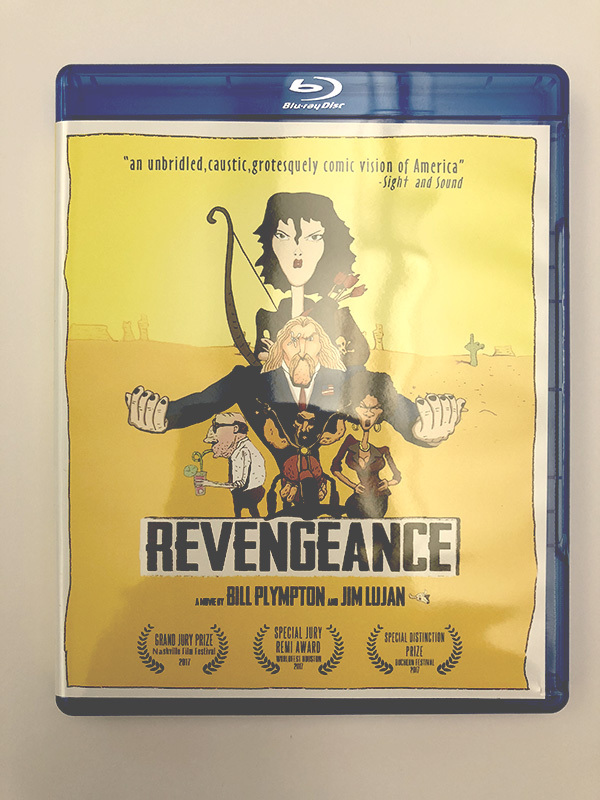 And the film was produced, co-directed and animated by Bill Plympton in his New York City studio, which has an equally sleazy underbelly. This is Bill’s eighth animated feature. His films have been honored all over the world – at Cannes, Annecy and the Oscars.